This is a test of whether to treat the illustration’s coloring by hand or to use Photoshop. 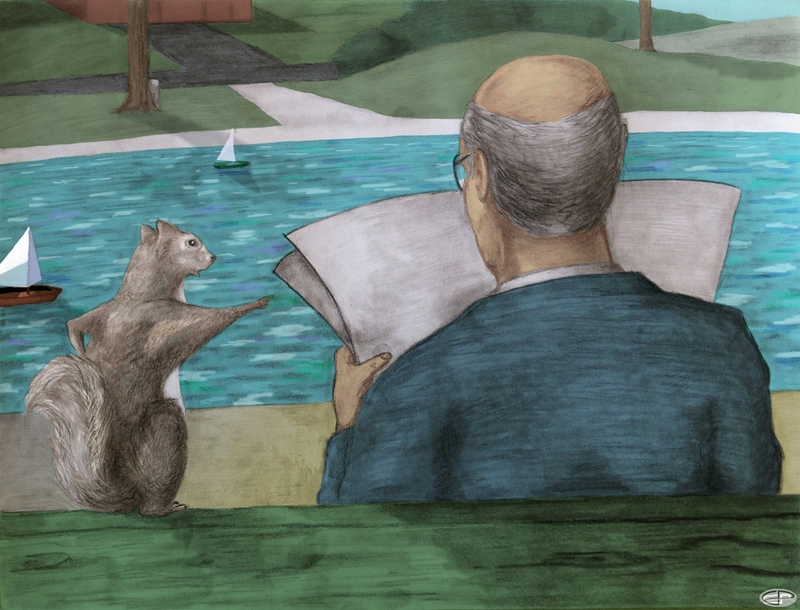 This is a preliminary sketch for an Illustrated children’s book on Golden gate Park and not as some have postulated, a rendering of my father’s issues with squirrels. The illustration is done in graphite and charcoal on vellum – 9 x 12 inches. This entry was posted in Illustrations, Portfolio and tagged charcoal, Graphite, illustration, Photoshop.